Armed with cutting-edge technologies, the MS-21 aircraft, which is being developed by Russia’s Irkut Corporation, is poised to be a game-changer in the international aviation market and promises to generate additional revenue for airlines. In this interview, Alexei Fyodorov, president of the Irkut Corporation, which also supplies Su-30MKI military aircraft to India, is upbeat about the prospects of the new MS-21 and underlines that the stage is set for the aircraft’s maiden flight in 2014. What are Irkut’s immediate production plans? The Su-30MKI family of fighters will be the backbone of our production programme in the medium term. In addition, this year we will start exporting Yak-130 military trainer aircraft. The leadership of Algeria’s Air Force has verified that the planes fully meet their requirements. Algerian pilots are currently training in Russia. The aircraft deliveries will begin in 2011. Negotiations with other foreign customers have also been running smoothly. Russia’s Ministry of Industry and Trade named the Irkut Corporation the best aircraft exporter in 2008, 2009, and 2010. We hope to retain this title in the coming years. The Irkutsk Aviation Plant will continue to produce components for Airbus A320. Going forward, we will focus our efforts on the MS-21 programme. We are working with the Sukhoi Design Bureau on an upgraded version of the Su-30MKI that will meet the requirements of Russia’s Air Force. Two units should be ready for testing later this year. Once the announced specifications are confirmed, a contract with the Ministry of Defence will be discussed. In addition, Irkut is in talks with the Ministry of Defence to supply the new Yak-130 combat trainer aircraft, including to the Russian Air Force’s aerobatics display team. Both projects – the Su-30SM and the Yak-130 – have been included in the state armaments programme till 2020. Is there anything special about working with India on the Su-30 production programme? Of course. The Su-30MKI is the first plane whose exterior was jointly developed by Russian and Indian specialists on a parity basis. At the design stage, the customer requested that it include advanced Western-produced systems. As head implementer of the programme, Irkut, along with the Sukhoi Design Bureau, was able to resolve many technical and organisational issues involved in this integration. One of India’s foremost requirements was technology transfer and the participation of their industry in the plane’s manufacturing. We met these requirements together with India’s HAL Corporation. What breakthroughs do you envisage in the field of military aircraft in the near future? We have two key areas for development in the military segment. First of all, there’s the expansion of capabilities in the Su-30MKI family. Together with the Sukhoi Design Bureau, we are working on a programme to upgrade planes previously supplied to India. The plane will be equipped with a new radar system, and other avionics components will be upgraded. In addition, work is underway to arm the Su-30MKI with Russian-Indian BrahMos supersonic missiles. The plane will be equipped with a “long arm” to destroy any type of sea targets. Combining the Su-30MKI with BrahMos will elevate our competitive position in the global market because our Western competitors have nothing similar to offer. The second area is the development of the Yak-130 to increase its combat efficiency. Light strike aircrafts are well suited for low-intensity conflicts, counter-terrorism operations, and a number of other tasks. How is the partnership with Airbus going? Which exact components does Irkut manufacture for the А320 family? We have been actively working with Airbus since 2004. The Irkutsk Aviation Plant is currently manufacturing keel beams and recesses for front landing gear. The partnership with Airbus has encouraged us to utilize modern Western standards and technology processes. We have also trained our technology engineers and workers to use high-performance equipment. Our designers have gained unique experience, too. Our engineers have been granted signing authority on Airbus working drawings. They have demonstrated their strong qualifications and the ability to work in international teams. This experience is also applicable to the ongoing work on the MS-21. What is the status of the MS-21 programme? How is it progressing? We are working under a contract with Russia’s Ministry of Industry and Trade, which finances the development of the MS-21 aircraft family as part of the Development of Civil Aviation Federal Targeted Programme. The configuration of the plane and its main systems have already been determined, a large number of calculations have been made, testing at the TsAGI and other institutions has been completed, and the collaboration has essentially been shaped. A composite wing prototype, the most innovative element of the MS-21, is undergoing testing. Its maiden flight is scheduled for 2014 and the certification is set for 2016. With the MS-21, Irkut is entering the most competitive segment of the market. Does your company have sufficient potential to make the programme a success? I am confident that we have everything it takes to implement the programme. In recent years, Irkut has been consistently and systematically working on all aspects of the programme, and has benefited from advanced domestic and foreign experience. Irkut has established an engineering center that is operating out of the Yakovlev Design Bureau. We have set up an integrated management system that links together all cooperating developers and manufacturers, both Russian and international. As part of the Yak-130 project, the Irkutsk Aviation Plant has implemented integrated digital aircraft manufacturing technology. We have upgraded our mechanical assembly production, introduced advanced special coating lines, and mastered a number of new technologies, such as automatic riveting. This is the result of work under a five-year technical upgrade plan aimed at MS-21 production. At MAKS, we signed two contracts with Dürr and ThyssenKrupp, which will allow us to complete the preparation of the Irkutsk Aviation Plant for MS-21 production. New assembly lines from the well-known German manufacturers will ensure that even the very first units intended for flight and static tests will be manufactured using industrial technology. This technology is totally new to Russia. It will speed up certification of the MS-21 and help us reach the target of serial production rate. We have been consistently implementing a programme of personnel training since 2005. It encompasses all categories of staff and provides training, professional development, and retraining to around 5,000 people annually. The average age of Irkutsk Aviation Plant workers is under 40. Workers’ welfare is an important priority. We have built 652 apartments for factory employees since 2008. At the United Aircraft Corporation level, the MS-21 programme is linked to the development of specialised inter-programme competency centers, such as the Aerokompozit, and new production sections at Aviastar-SP, VASO, and other factories. Since the programme’s inception, we have been working with potential customers both in Russia and abroad. At the MAKS-2011 airshow, Irkut signed two solid contracts for delivery options of 135 MS-21 aircrafts for listed price of about $10 billion. Does the MS-21 offer any advantages over its global counterparts? 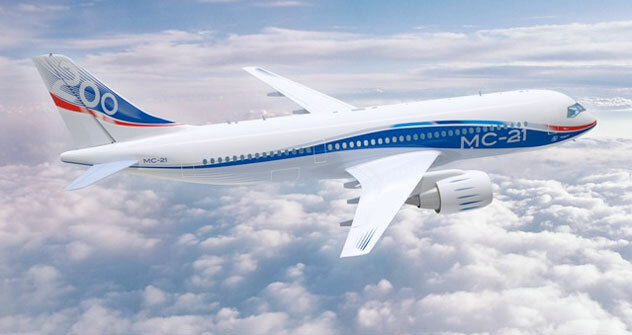 The main competitive advantage of the MS-21 is that it would allow airlines to cut direct operating costs by 12–15%. To make it clearer, here are the numbers: over the course of its usage, each MS-21 will generate an additional $40–50 million in revenue compared to planes available today. Competitors have swung into action and are planning to replace the engines on their aircraft with the same ones as the MS-21. While the new engines will decrease fuel consumption, our advantage lies in superior technical solutions. First of all, a higher share of composites reduces the plane’s weight. Secondly, there’s the improved aerodynamics developed by TsAGI researchers and our in-house designers. Thirdly, we design the “aircraft–engine” complex at the outset, which also offers advantages over planes with retrofitted engines. We have also selected a larger diameter hull to speed up boarding and deboarding. Consequently, charter and low-cost carriers will earn hundreds of thousands of dollars in additional revenue annually. According to our calculations, the MS-21 will generate additional profits of $20 million compared to competitors’ engine-retrofitted models. Last but not least, with the MS-21 we will provide passengers with a level of comfort that is only available today onboard wide-hull, long haul aircrafts. How are you funding the MS-21 programme? First of all, there’s state financing as part of the Civil Aviation Development Federal Targeted Programme. The government has made aircraft building a high-priority industry, and as we can see, it is clearly implementing this strategy through its budget policy. Second, Irkut is able to invest its own funds in MS-21 development and production preparation. Third, we are able to attract investments and borrowed funds to finance our programmes. Irkut has been working in the financial markets for more than a decade, is transparent to investors, and enjoys a solid reputation as a good borrower. We have been releasing IFRS financial statements audited by KPMG for many years. Our borrowings are secured by our large portfolio and solid financial and economic position. Irkut is in talks with a number of investors who are interested in participating in the MS-21 programme. Fourth, signed MS-21 supply contracts allow us to use our customers’ funds to finance the programme. All programme milestones are carefully coordinated in terms of deadlines, funding, and aircraft development stages. Overall, we have successfully kick-started a mechanism for a partnership between government, industry, and investors, which ensures timely implementation of the MS-21 programme.